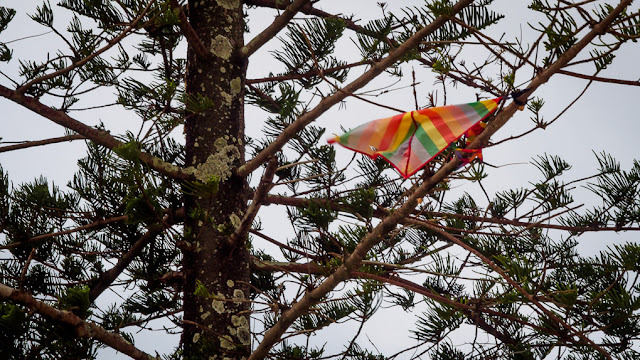 For those for whom the grammar is unclear, this is not a photo of a kite eating a tree. The reverse is in fact happening. A kite eating tree is a tree which eats kites, the species was famously discovered by Charlie Brown many many years ago and until now I thought it was some sort of exotic overseas kind. Here a Norfolk Pine has obviously undergone some terrifying genetic mutation.